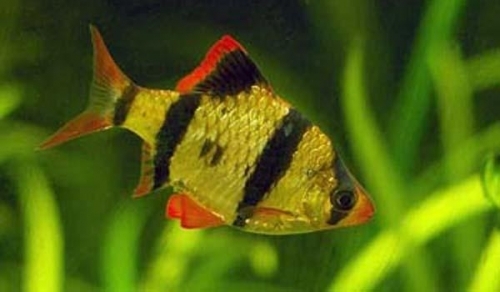 Our Fish Tank Labels can be found Here. 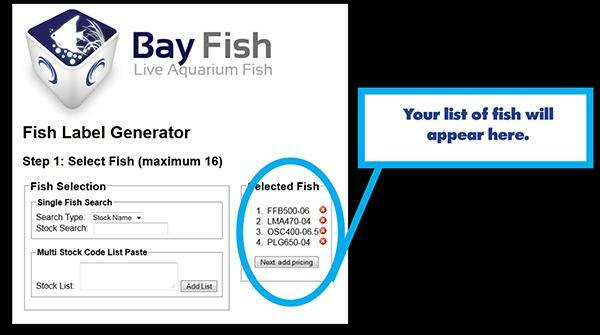 Type or paste in a list of fish names or order codes into the Fish Selection field. 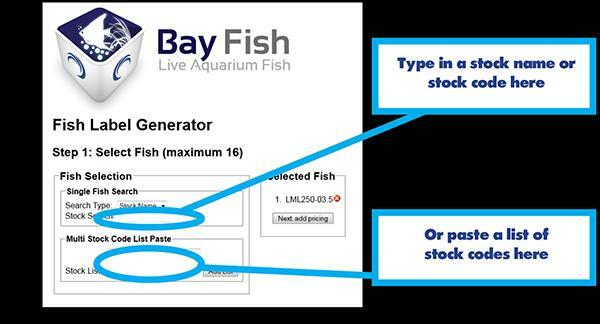 Once you’ve entered your Fish their codes will appear to the right in the Selected Fish field. 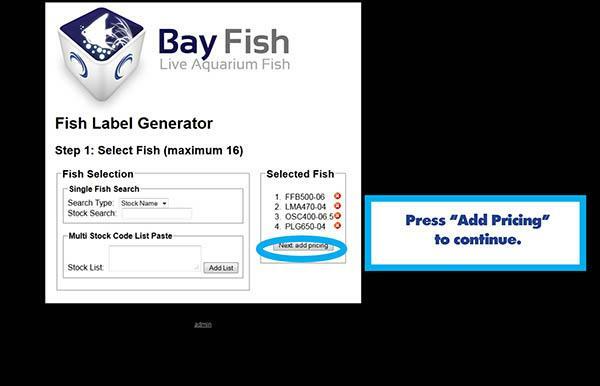 Once you have added all required fish codes to a maximum of 16 click “ Next add pricing” button. 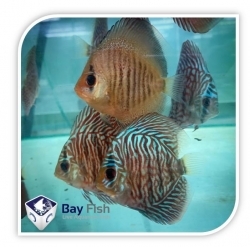 Here you can add your RRP or Sale prices for fish in your store. 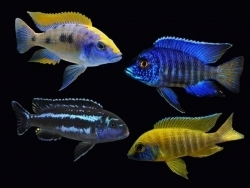 You can choose either an individual price or multi buy price. 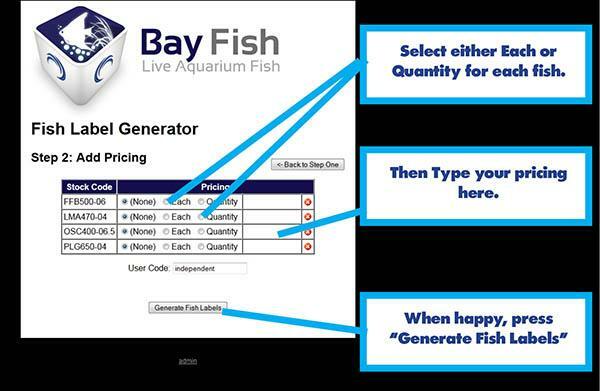 Once you’ve completed your retail prices select "Generate Fish Labels". 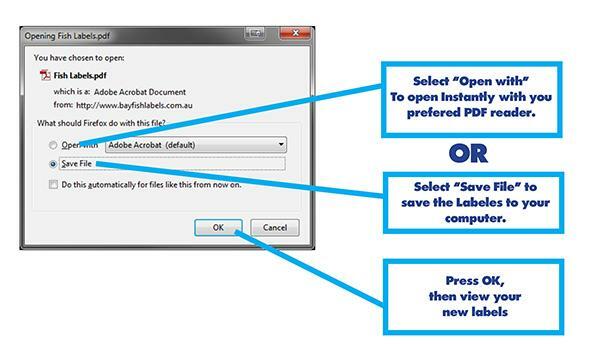 Select "Open With" to open instantly with your preferred PDF reader or select "Save File" to save the labels to your computer. 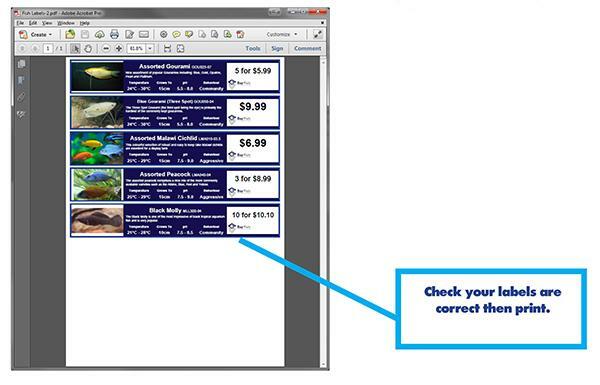 Your Labels will be created as a PDF file.